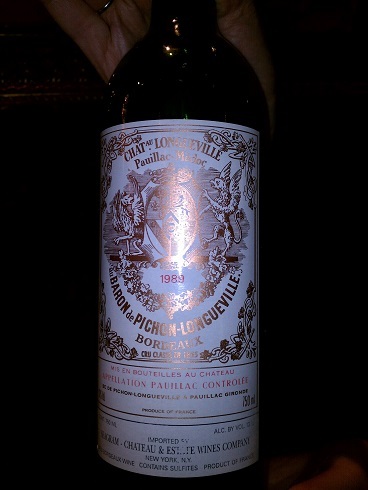 For me the wine of the night was hands down the 1989 Pichon. With the wine market the way it is Moby and I do not have the luxury of drinking mature Bordeaux regularly but thanks to Unclegrape it’s a special treat every so often. The tannis had melted away leaving structured and delicious fruit. From nose to finish you get a complete wine experience, just outstanding. 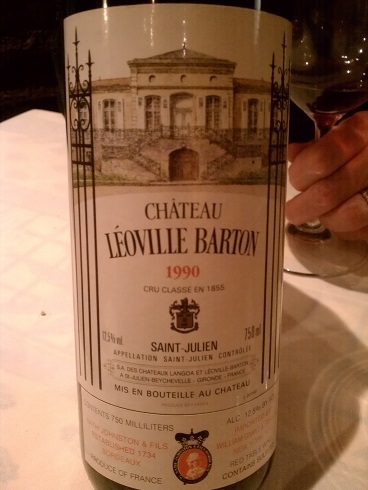 I’ve developed a taste for younger Bordeaux but honestly it’s not even close…if you have the will power age your Bordeaux. Be patient, it’s worth it. Moby really enjoyed the Cremant as well. Light, refreshing, not as big as a Champagne it’s a great aperitif. 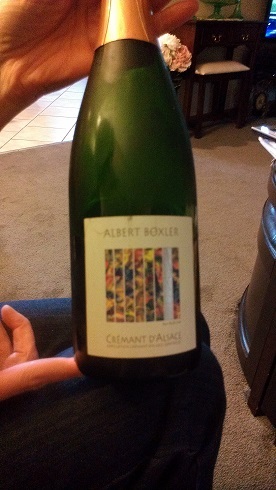 We’ll definitely be having more Cremant in the future. You may have noticed the oddball Nebbiolo in our otherwise French theme. 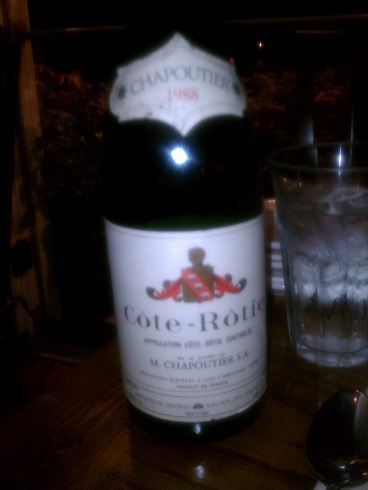 I found this bottle at Vin Bin recently and brought it along. 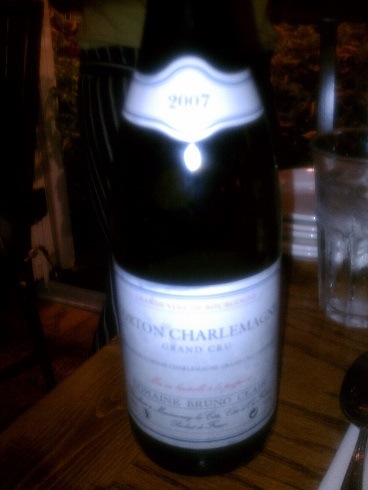 We enjoyed it quite a bit and will be purchasing a few more bottles. 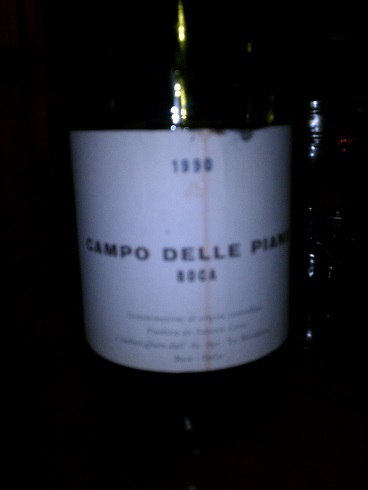 It wasn’t a fair fight vs. the 89 Pichon however a delicious mature Nebbiolo at $65 is a steal. 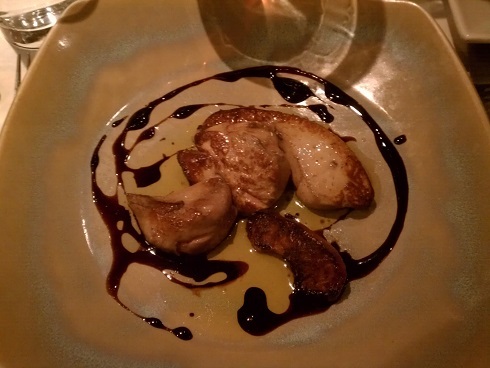 Foie Gras from Le Rendez-Vous Bistro. Wow. Perfectly cooked, creamy, melt in your mouth liver with a balsamic reduction and carmelized apple. There’s a strong possibility this was the best plate I’ve had all year. Completely unnecessary yet completely necessary at the same time. 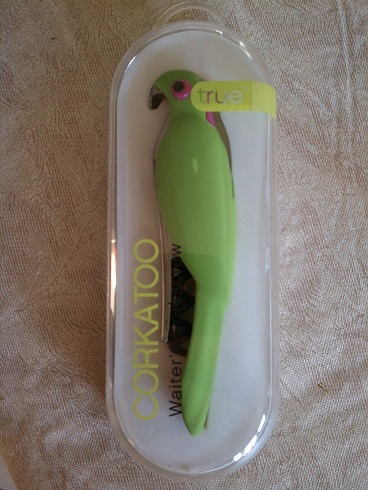 Aunt and Unclegrape have two parrots so this was the perfect purchase. Does it work? Who cares…It’s a Corkatoo and it’s hilarious. 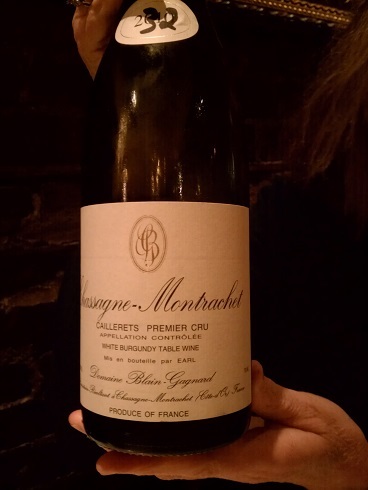 This entry was posted in Alsace, Bordeaux, Burgundy, Cabernet Sauvignon, Chardonnay, Cote de Beaune, Cote Rotie, Cremant, Food, France, Italy, Merlot, Nebbiolo, Piedmont, Rhone, Saint-Julien, Syrah, Wine Dinners on September 16, 2013 by colonelgrape.